The National Day of Unplugging is on March 1-2, 2019. Join us in taking the pledge to unplug from technology regularly. Take the pledge at NationalDayofUnplugging.com. We want to know what you will do when you UNPLUG. Download the I UNPLUG TO _____ poster, take a photo with it and upload your image to NationalDayofUnplugging.com. Share your picture on Facebook, Twitter and Instagram. For our Sabbath Manifesto, we created 10 core principles completely open for your unique interpretation. We welcome you to join us as we carve a weekly timeout into our lives and to continue the momentum of the National Day of Unplugging throughout the year. Join us in 2019 on March 1-2 for the National Day of Unplugging, designed to help hyper-connected people of all backgrounds to embrace the ancient ritual of a day of rest. Sign up to be part of NDU 2019. 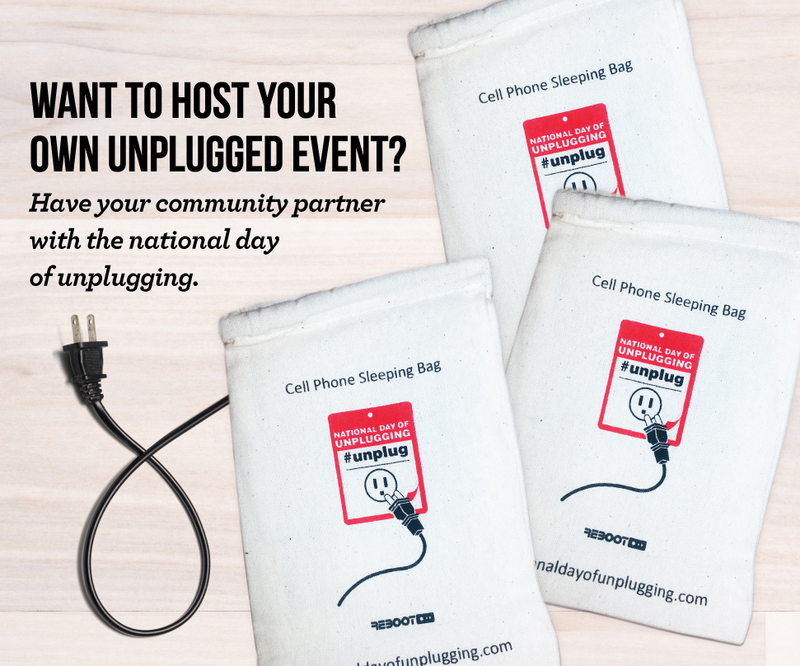 Are you a community organization interested in partnering with us on the National Day of Unplugging? Click here. 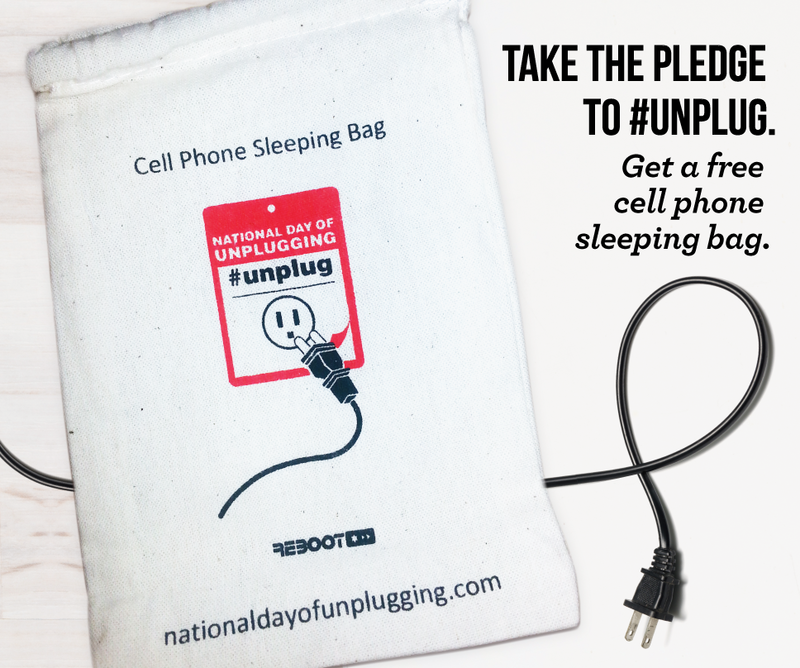 Check out our NDU partner page for a list of organizations that have joined the unplugging movement across the country! Get a free cell phone sleeping bag. Host your own Community Unplugged Event Here. Since a film we’re working on explores what it means to be “connected” in the 21st Century, we made “Yelp,” to suggest how disconnecting can be just as much fun as connecting. We’re ready to power down with y’all Friday night.